This last weekend saw this year's Blizzcon come and go. As always it was full of energy and optimism. It's always great to get real face time with the Blizzard community, and get to feel the passion that everyone has for the game's we work on! This year marks Blizzard's Twenty Fifth anniversary, and the video they put together for the opening ceremony summed things up perfectly. I still pinch myself some days that I get to be a part of all this. 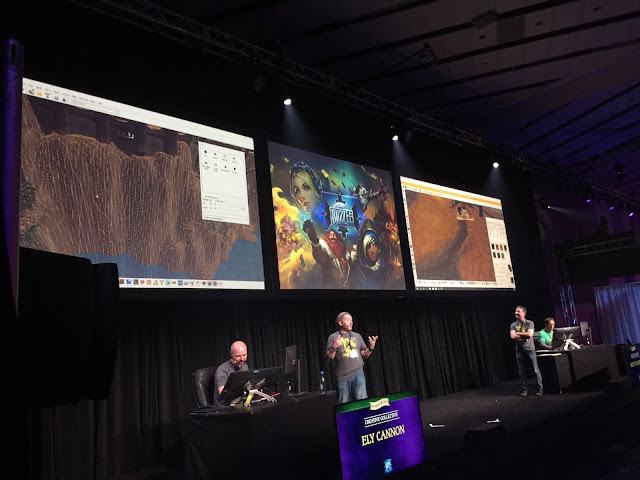 This was also the first time that I got to taste the Blizzcon stage myself, presenting our world building tools with some of the wonderful level design team. No matter how many times I do live stage work, there are always those pesky little nervous butterflies, but it was a blast to get to peel the curtain back a little for the fans. The only downside was that I missed my annual tradition of watching the Starcraft 2 World Championship Finals in the arena. Blizzcon never fails to recharge the batteries. That sheer passion from the fans gets distilled into the determination that will see us through the next development cycle.